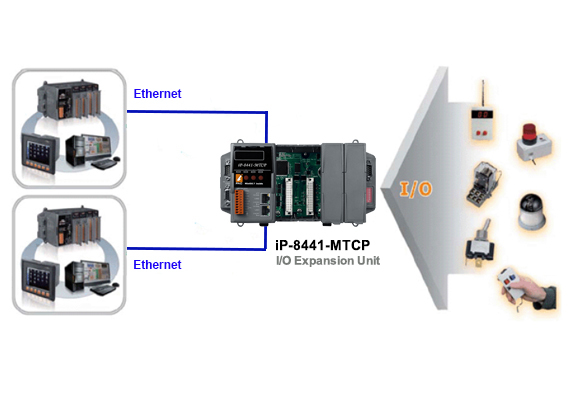 iP-8841-MTCP series is a Modbus TCP I/O expansion unit to expand I-8K and I-87K series I/O modules over the Ethernet for industrial monitoring and controlling applications. There are more than 50 I/O modules supported with the unit, including analog input/output, digital input/output, counter, frequency I/O modules. 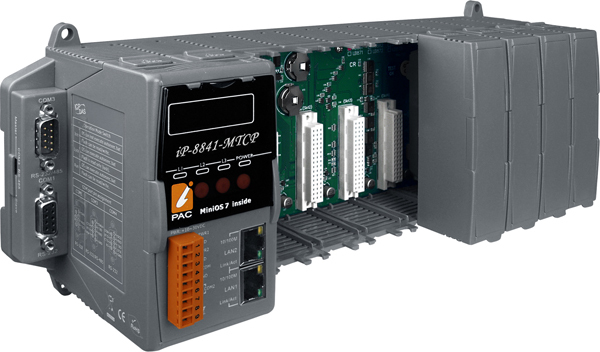 Further more, the iP-8841-MTCP is also a c language based programmable controller that equipped a DOS-like OS (MiniOS7). Programmers can use C compilers that can create 16 bit executable file (*.exe) to customize the Modbus firmware which preinstalled in the iP-8000-MTCP. 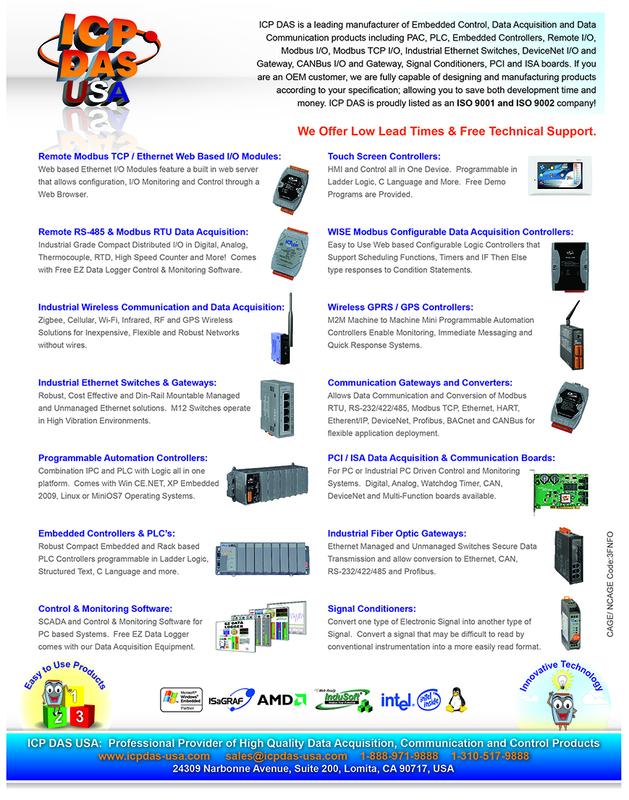 The SDK provides rich functions for Modbus communication, such as Modbus TCP master/slave, Modbus RTU master/salve, Modbus ASCII master/slave, etc.